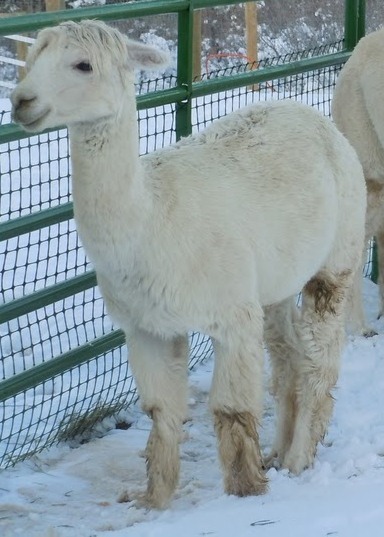 Little Bravado, our smallest alpaca and our only suri (it’s a breed of alpaca), is a man after my own heart. He’s a bit of a worry wart, always on the watch for trouble, and he is not good at sharing. Mom was cleaning the girls’ paddock last week and keeping an eye on the boys as she worked. The big feed trough was in the center of their paddock, full of fresh hay, and as usual, Bravado was monopolizing it. All four boys were gathered around the trough. Bravado growled at them all in his most threatening “MMMMmmmmm”, and they backed up a bit. As soon as he put his head down into the feeder, they all did as well, until he noticed and growled at them again. They all took their heads out of the feeder until he had his buried in the hay, and then they all started eating again. Bravado is the one with his head in the feeder. This happened a couple of times before Mom decided to intervene. She yelled, “Bravado! Be nice!” Bravado looked right at her, then turned and bit Morocco’s ear. He gave Mom one more “What are you going to do about THAT?” look before sticking his head in the feeder again. 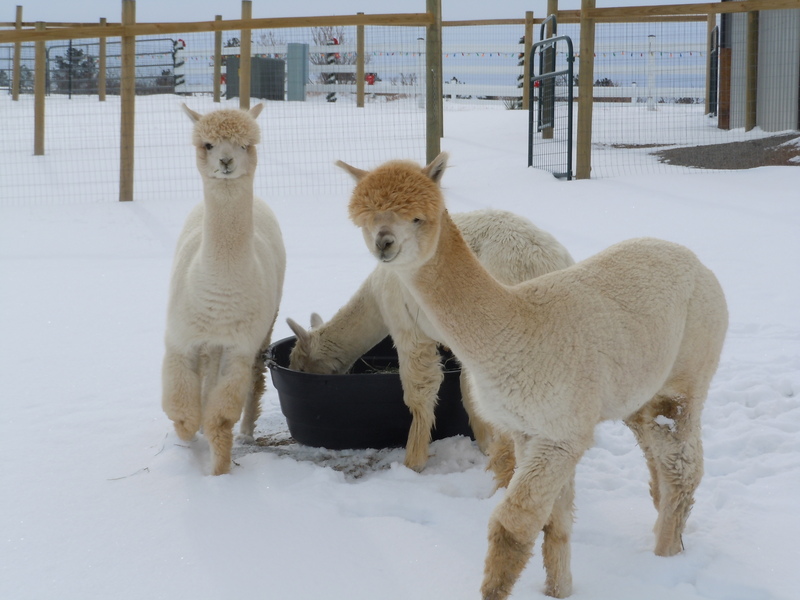 This entry was posted in animals and tagged alpacas, feed, herd dynamics, paddock, worry wart. Bookmark the permalink.